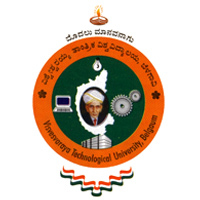 Download Visvesvaraya Technological University BE First/Second Semester Elements of Civil Engineering and Engineering Mechanics Question Paper of January, 2015 (2014 Scheme) in PDF Format | VTU BE Examination Question Papers | Visvesvaraya Technological University Previous Year or Old Question Papers | VTU Model Question Papers | Download VTU Question Papers in PDF Format | VTU Common Subject Question Papers for All Braches. Students who are searching for VTU Question Papers can download Visvesvaraya Technological University (VTU) B.E First/Second Semester Elements of Civil Engineering and Engineering Mechanics Subject Question Paper of January, 2015 (2014 Scheme), This Question Paper is common for All Branches of Engineering & Download This Question Paper in PDF Format. Click Here, To Download VTU B.E 1st/2nd Semester Elements of Civil Engineering and Engineering Mechanics Question Paper of January, 2015 (2014 Scheme).